The goal of the Structural Reflexologist® is to detect why and where compensation sets into the body based on foot alignment and function, and correlates this with their knowledge of the feet as a microcosm of the body. The Structural Reflexologist® seeks to correct foot problems by seeking the cause of painful symptoms. 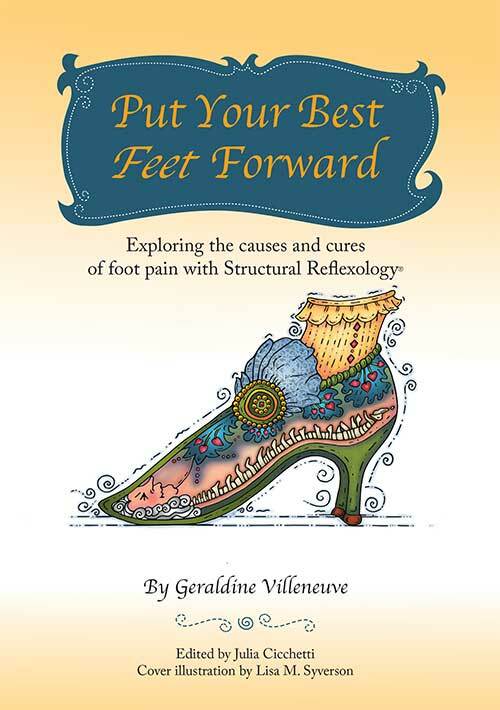 First by assessing foot structure, alignment, and joint and muscle tension, and then with intent, purpose, and precision, utilizing Reflexology, massage techniques, and gentle traction, to bring the feet back to a stage that is comfortable and functional, thus relieving symptoms presenting in other parts of the body caused by compensation. The feet are forgiving and can adapt to the abnormal circumstances forced upon them for decades before pain sets in, if at all. In fact, a person can live an entire lifetime without foot pain even if there are dislocations in the feet, as long as the joints of the feet remain unlocked. The upper body may suffer, however, and present pain because of the compensation necessary to move the body with feet that have become functionally dysfunctional. The force of strain that feet endure will change the balance of the mechanism of the feet and inhibit normal foot function. The great news is this is all avoidable and correctable given the right size and style shoe.